Located only 12km (7miles) east of Vancouver on Highway 99A, Burnaby is a rapidly growing industrial and commercial area. To the north is Burrard Inlet and to the south is the north arm of the Fraser River. 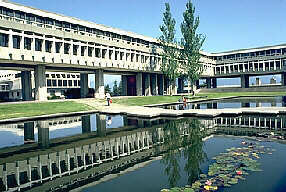 Known for its impressive architecture, SFU was opened in 1965. Visit the Museum of Archaeology and Ethnology or enjoy views of the surrounding area. 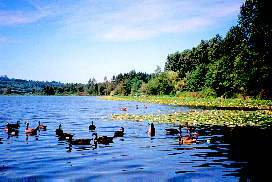 Home to an abundant array of waterfowl, the park offers jogging and walking trails, good fishing, boating and swimming. Most of the park has been designated a wildlife sanctuary with over 200 species residing here. There are good hiking trails here. Situated on the estuary of the Fraser River, southeast of Vancouver is New Westminster which may be accessed via Highway 99A or Highway 1. 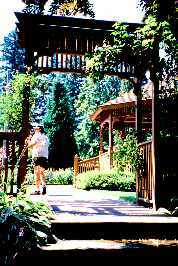 Once the capital of the colony of British Columbia, this city is now a rapidly growing area. This waterfront area offers riverfront living, shopping, dining and entertainment. Enjoy a river cruise aboard a replica paddle-wheeler, The Native. There are different cruises to choose from, including a return trip from the Royal City to Fort Langley and back. Located at 302 Royal Avenue, these museums present local history displays. 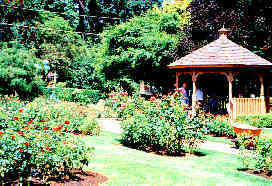 Queens Park, located off First Street, is a beautiful spot to picnic among the trees, and watch a ball game or a soccer match or view the fine floral displays.